We end our series of posts by Gladys Hunt with a tribute to classic picture books, recently re-issued. In the last few years publishers have been reissuing picture books that are delightful offerings from some well-loved authors and illustrators. Here are some you may want to look for. 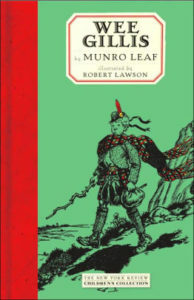 Munro Leaf’s The Story of Ferdinand (first published in 1936) has never been out of print, but is now in a new seventieth anniversary edition. Others of his books have been unavailable for years, so I was glad to see the return of Wee Gillis (1938), a Caldecott Honor book, which is the story of Alastair Roderic Craigellachie Dalhousie Gowan Donnybristle MacMac—which too long to say so everybody just called him Wee Gillis. His mother was from the lowlands of Scotland, while his father and his relatives are Highlanders—and thereby hangs the tale. It’s been out since 2004, but The Happy Lion (1954) by Roger Duvoisin has now been joined by The Happy Lion Roars –which is a good thing for those who love the happy Lion and his enigmatic little smile. 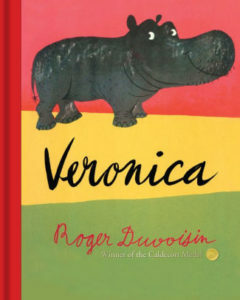 Knopf has also brought back Duvoisin’s Veronica (1961) the story of the irrepressible hippopotamus who tires from blending in with the huge herd of her hippo relatives and longs to stand out from the crowd. She sets out to find a place where she can be different and even famous. Speaking of large creatures, Margaret Wise Brown’s Bumble Bugs and Elephants (1938) has been reissued (illustrated by Clement Hurd). This is a book for young children about concepts of big and little. It’s one of Brown’s best books. If you want a tea party with the Man in the Moon, you will like the reissue of Clyde Watson’s tiny gem Midnight Moon (1979), illustrated by Susanna Natti. At the tea party the Man in the Moon entertains his guests with music and food and stories of things he sees in his travels over the earth. Actually it is a cozy bedtime story. 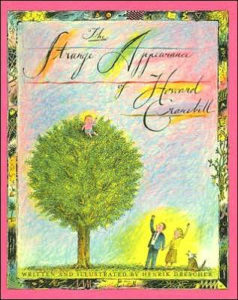 One more: The Strange Appearance of Howard Cranebill (1982) is the offbeat work of Henrick Drescher. The “strange appearance” refers to the arrival of Howard on the doorstep of “Mr. and Mrs. Cranebill who lived all alone in a little house with a pear tree in the backyard. Their biggest wish was to have a child, and one morning when they opened their door they found a basket at their feet, with a little baby lying in it, all wrapped up.” It had an unusually long and pointed nose which got him into all sorts of amusing nose-related mishaps. He grows up and transforms into a stork and flies south for the winter, but the Cranebills expect Howard back in the spring to nest in the backyard pear tree. Well, the story is funnier than this review. It’s a good one for four-year-olds. 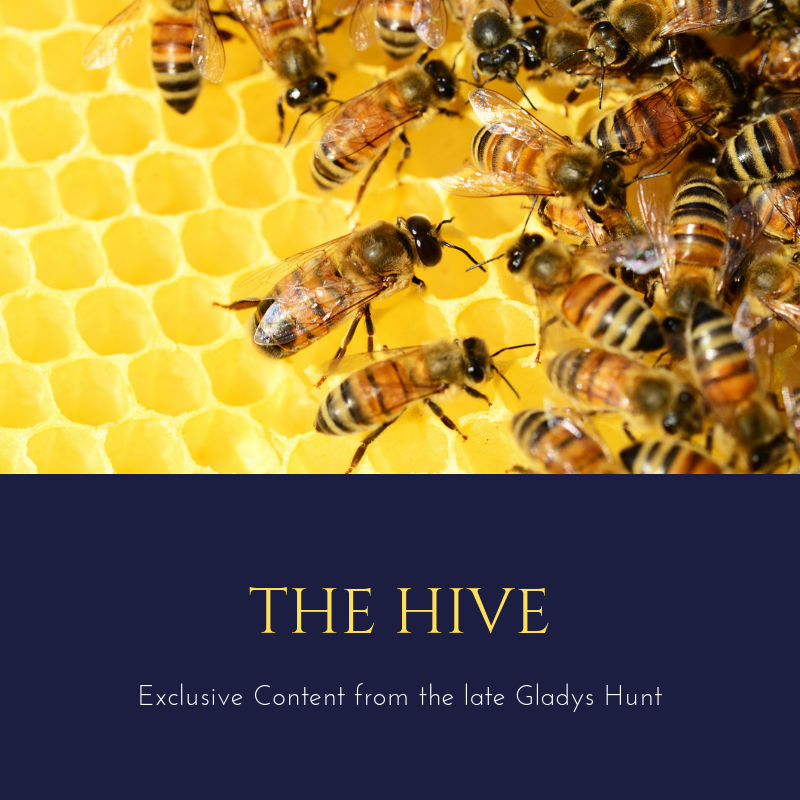 At Redeemed Reader, we celebrate November as Picture Book Month, so this is a great post for ending our Gladys Hunt Series! We’ll be reviewing new and old pictures books all month, so be sure to check back often. 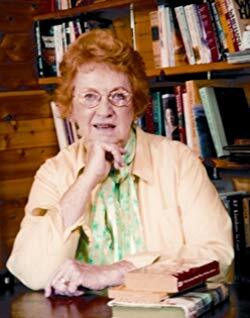 Thank you for your fun and informative reviews of great reads – especially this series of posts on Gladys Hunt! This series was a joy for us, too!